I cheer for Doncic because I want to get paid (my avatar). Interesting how zboy and king1 are calling someone not a rocket fan who has been on this board longer than they have been. I appreciate non rocket players. Just not when they are playing the rockets. Then they have to fail. BallSoHarden, Jayzers_100, Koperboy and 3 others like this. for two, he's listed as 6'7, 218. even if its 6'7, 225... hardly fat... his build isn't super muscular or super skinny... but in a world of Brandon Ingrams, Zhou Qi's, Giannis when he came out, KD when he came out... that's ok. If this isn't an All-Star, I don't know what is. Koperboy and plutoblue11 like this. It is interesting. Plenty of wolves among us. I am taking notes! Leave your Rockets fan card at the door, sir. Disgraceful. Abhorrent. Disgusting. Alarming. Despicable. 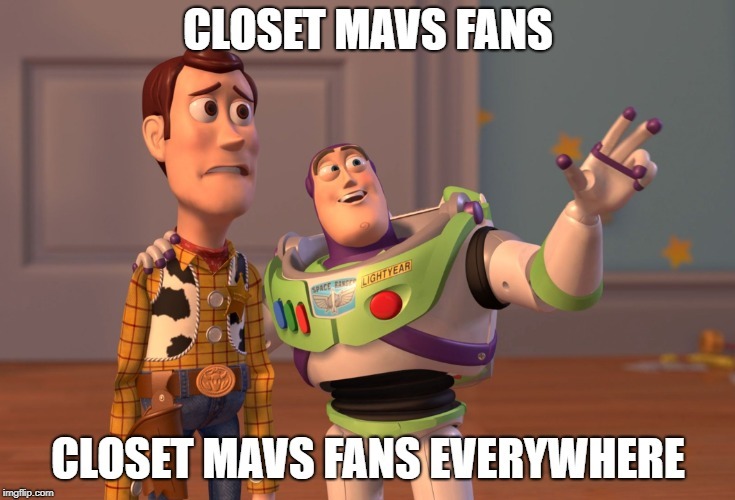 I had no idea I was singing onto a Mavs fanboyz forum. And they will pretend like it didn't happen. Just want to drop in to say @arno_ed is a legit longtime Rockets fan, as well as an overwhelmingly positive contributor to the BBS. @arno_ed, thank you for enduring crap in this forum and in others. And thanks for adding your perspective. vcchlw, roslolian, arno_ed and 1 other person like this. Luka's stepbacks are getting smoother by the game. When he's feeling it, there's not much you can do. Against Warriors he was 5-8 I think, before he missed two in a row. Those two almost went in, but rimmed out. Any of them would send the game at least to overtime, if not an outright win. Too bad. With JJ Barea out for the season and DSJ being injured often, Luka will have the ball in his hands a lot more than first 20 or so games of the season. His season average of AST/TO is 5.0/3.3, but in last 15 games it's 5.8/2.7, which is quite better. His game against Minnesota was great, with 12 AST and only 1 TO. He didn't shoot the ball well, but came clutch in last quarter, when he was responsible for last 15 points by his team, either directly or indirectly, except for Barnes' 2 FTs at the very end. Btw...very happy he gets some votes for All-star from this board too! Thanks @B-Bob, @Deckard Those are some very nice words. Know that I appreciate and respect you both. I do not appreciate it when posters call another poster out for not being a fan while that poster was here for the Francis years, and the eternal 14th pick years. So I wanted to support that poster. That being said it is clear that King1 and Zboy are only trolling. It is a bit annoying since it disturbs a conversation on a interesting basketball player. But if that is what they do for fun, power to them. 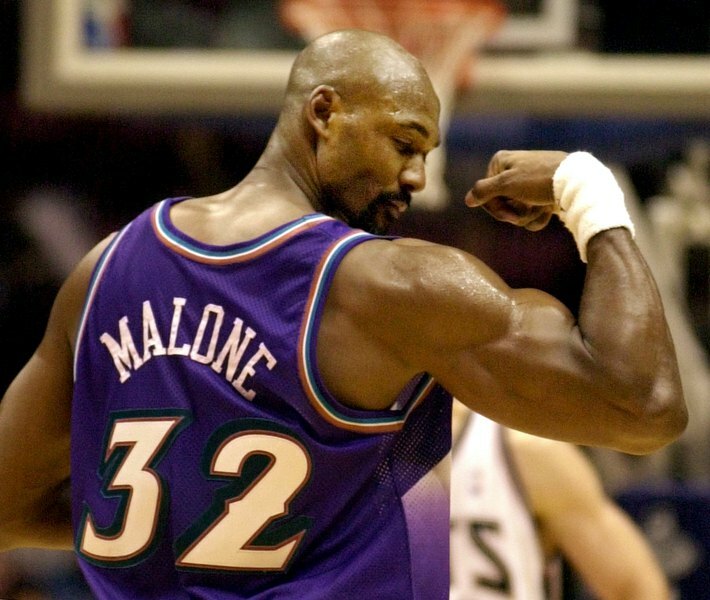 However Posting a Malone pick is one step to far (unless it is a picture of Nachbar dunking on him and blocking him). I will continue to ignore the trolls, since that is what works best against them. blahblehblah, Deckard, vcchlw and 2 others like this. Chubby James Harden is the real deal. roslolian and Koperboy like this. No! Harden is husky, Luka is chubby.